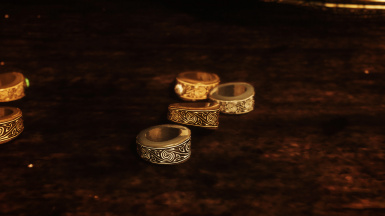 HD texture and mesh replacer for rings and necklaces. 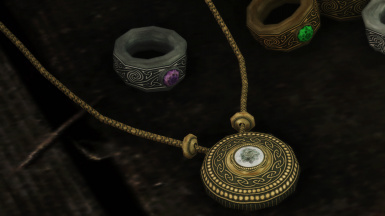 This is a HD Texture replacer for rings and necklaces. 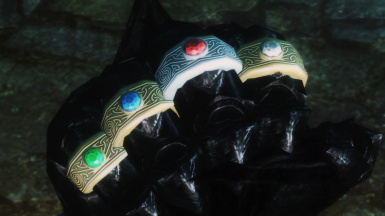 High poly meshes for rings by powerofthree are 10x the vanilla poly amount. 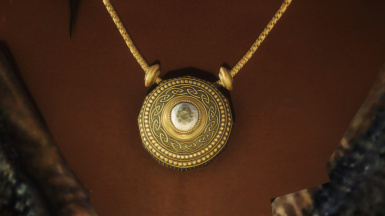 High res rings are 8x and the necklaces are 4x the original resolution. Low res are both 2x the original file, but still looking good. 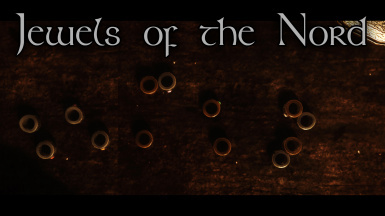 Install into "skyrim/data/" folder or use NMM. Do not upload it elsewhere. Q: How do you wear 4 rings the same time like on the pic? Is it a mod? A: No. The gauntlet is part of a hidden daedric quest under Winterhold College. 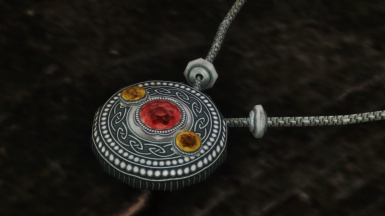 Q: Can we expect more retextures for the unique jewelery? A: Yes. I'll continue the work on the other jewelery soon. 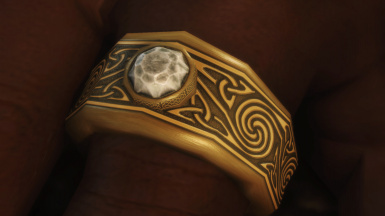 Q: What about high poly meshes for the rings and amulets? 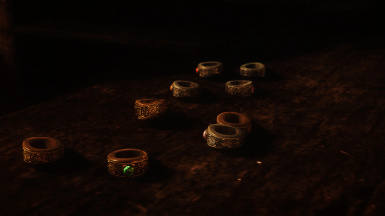 A: High poly meshes for rings were added in 1.2. Necklaces will be updated soon. Thanks to Bethesda and everyone who made Skyrim possible. Special thanks to powerofthree for the meshes.